Mega MUNNY is shiny! 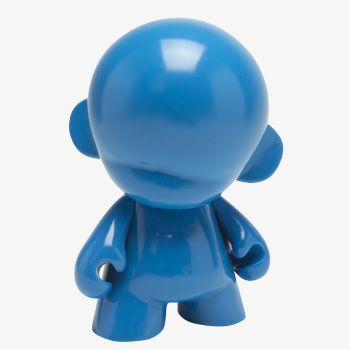 Your favorite Do It Yourself vinyl toy is back and beautiful in three high gloss colors - black, white and blue. Towering at 18 inches tall, Mega MUNNY Glossy has all of the customizing possibilities of matte Mega MUNNY, or you can keep it just as it is: clean, elegant, and super smooth. Packaged in a Mega MUNNY box with built-in handle for easy carrying, and with giant super-fresh coloring poster.